The New Year is just around the corner and you’ve been thinking – maybe it’s time to make a big move. You’re looking for a change, perhaps seeking a new career but not sure where to start. 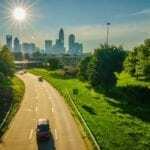 Well, take a closer look at Charlotte, NC, ranked the 4th highest growth among America’s largest cities in 2018. Headquarters to six Fortune 500 companies and 15 Fortune 1000 companies, Charlotte offers strong employment opportunities for job seekers. According to Charlotte Regional Business Alliance, the presence of Fortune 500 companies, is a major indicator of a city’s economic strength and stability. These Charlotte-based companies include a wide variety of employers including Bank of America, Lowe’s, Duke Energy, Coca-Cola Bottling Company, and Resolute Forest Products. Major businesses in Charlotte employ over 676,000 people, and represent diverse industries ranging from finance and insurance to manufacturing and transportation. 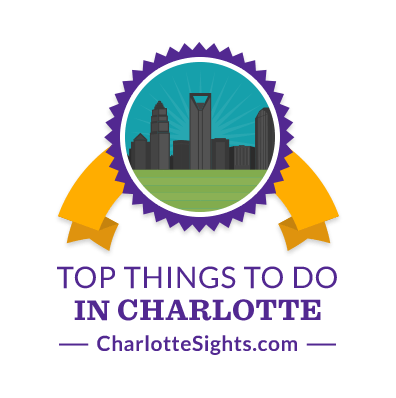 Charlotte Chamber reported that the Queen City was ranked the 3rd most industry variety in the country. Charlotte was also ranked the 2nd largest financial center in the country with more than 26,000 people employed in the industry, more than 140,000 people working in the manufacturing industry, and named the 9th biggest city where white-collar employment is blooming in 2015. Leader in contract food service and hospitality, the Compass Group North America is headquartered in Charlotte and employs 4,350 regional employees with over 255,000 associates throughout the country. The company ranked top places to work in 2015, 2016, 2017 and 2018! Unless you live under a rock, you’ve see the infamous Allstate commercials. Allstate is the largest publically held personal lines P&C insurer in the U.S., serving more than six million households. The company employs 1,834 regional employees and is headquartered in Northbrook, IL. Another company in the financial sector, Fifth Third Bank is headquartered in Cincinnati, OH and has four main lines of business: Wholesale Banking, Branch Banking, Consumer Lending, and Investment Advising. The company employs 558 regional employees and is a three-time winner of the Gallup Great Workplace Award. ALDI, one of America’s favorite grocers, employs 1718 regional employees, and is headquartered in Batavia, IL. Ringing true to Charlotte’s #2 ranking in the financial sector, RoundPoint services residential mortgage loans and has become one of the nation’s top 20 mortgage services. The company employs 583 regional employees and is headquartered in Charlotte. Charlotte Chamber reported that North Carolina was ranked 10th in construction job growth. True Homes, a local semi-custom builder employs 201 regional employees and is headquartered in Monroe, NC. The company is dedicated to bringing the best new home designs, style, and value to residential communities throughout NC and SC. True Homes was ranked top places to work in 2016, 2017, and 2018. The largest provider of air conditioning and heating services in the Charlotte area, Morris-Jenkins, was ranked top places to work in 2016 and 2018. The company employs 326 regional employees and is headquartered in Charlotte.